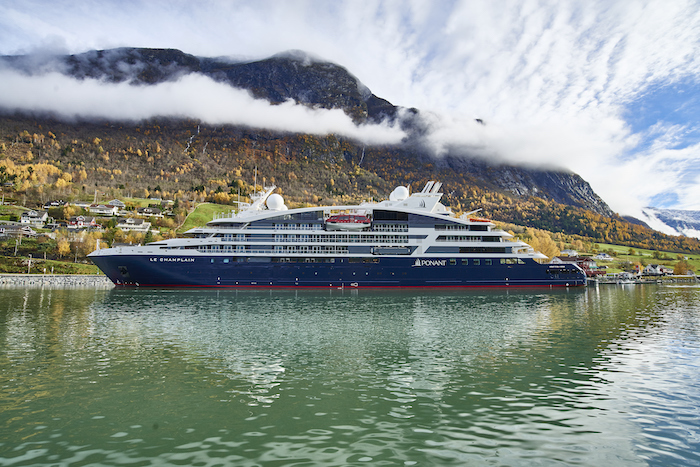 A Norway cruise on Le Champlain, Ponant’s latest luxury expedition ship, leaves Liz Jarvis wanting more. Fairy lights are twinkling on the plunge pool, people are performing Ceroc dancing by the bar and the Champagne is flowing freely as we sail on into the inky blackness. We joined Le Champlain in Bergen, Norway, where we had time to stroll around Bryggen, with its colourful old Hanseatic wharf, before embarking on our short cruise around the Norwegian fjords. Launched in 2018, Le Champlain is a sister ship to Le Lapérouse, and purpose built for expedition cruising. 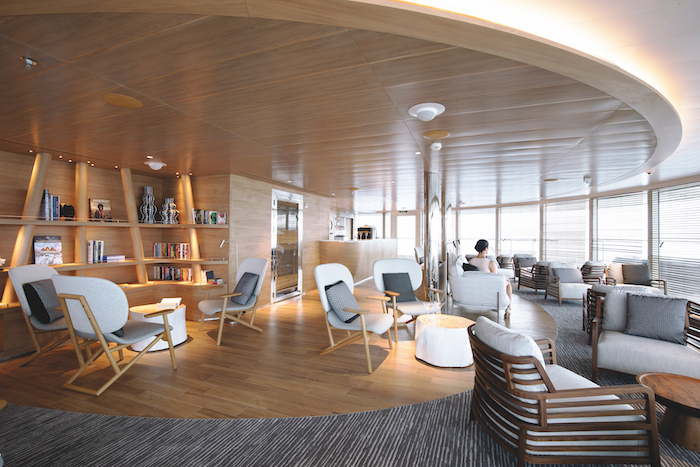 The ambience on board Le Champlain, as with other ships in the Ponant fleet, is one of relaxed elegance. Designed by celebrated French architect Jean-Philippe Nuel, it is intended to connect guests with their natural surroundings, and it certainly works. One of my favourite moments is standing on the top deck as we sail into Geirangerfjord; surrounded by cliffs and crystalline water, I feel at one with nature. The colour palette throughout the ship is influenced by the ocean with watery-green accents. 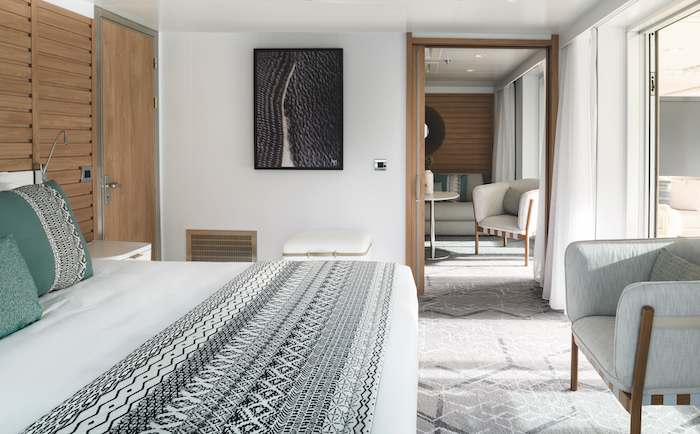 My stateroom is compact but chic, with intriguing details including Scandinavian-inspired artwork and slatted timber on the walls. The bed is one of the best I’ve ever slept in on a ship, with throw pillows galore. There’s a sliding door to the spacious balcony, a Nespresso machine and kettle with a range of coffee pods and teabags to choose from, luxurious bathrobes, Hermès toiletries, and complimentary wifi throughout the ship. A big attraction on Le Champlain and Le Lapérouse is the Blue Eye. Created by French architect and oceanographer Jacques Rougerie, it’s a futuristic underwater lounge with two large observation windows that gives you a ‘whale’s-eye view’ of the sea. There are also projections of jellyfish on the wall, which adds to the marine vibe; hydrophonic microphones capture the sound of sea creatures. Seeing the water rushing by as you nurse a cocktail is incredibly relaxing, and this rapidly becomes one of our favourite areas of the ship. Although we didn’t spot any sea life through the windows in Norway, it was fun looking, and it’s easy to imagine how much you could see if you were sailing in the Caribbean. 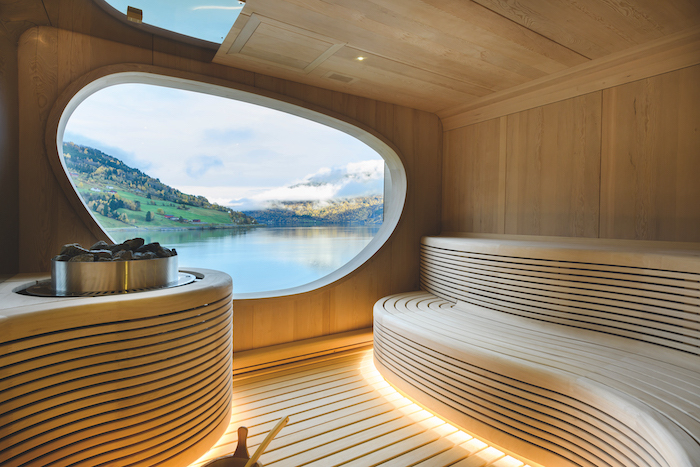 I’m particularly taken with the spa, which, while small, is certainly perfectly formed and has a delightful sauna with sea views, as well as a menu offering treatments by Parisian beauty brand Sothys. Other onboard highlights include the theatre, with its plush seating, the Observatory Lounge, and the retractable marina. Service is exemplary and cuisine in the main (only) restaurant is splendid; breakfast offers a myriad of delights, and as many courses as you can eat, all accompanied by wine and Champagne. Freshly prepared Crêpes Suzette are a welcome treat after a day’s hiking. For dinner I opt for seabass one night then steak the next; both are excellent, as is the cheese selection. On our short but memorable sailing, we get to experience some of the most astonishing scenery of the Norwegian fjords – soaring mountains, waterfalls and raw, natural beauty. My personal highlights include Olden, where we stop at the emerald green lake and take ‘Troll’ (open) cars up to the Briksdal glacier and hike to the edge of the turquoise-tinged frozen expanse. And we end our tour of Norway back in Bergen, with a visit to Troldhaugen, the well-preserved home of composer Edvard Greig, where we’re treated to a piano recital with a spectacular view. Le Champlain was named after French explorer Samuel Le Champlain, known as the ‘father of France’. I think he would approve. 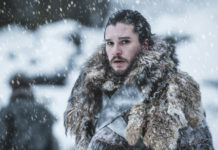 An eight-day Icelandic Mosaic cruise on Le Champlain with Ponant starts from £3,415pp, based on two sharing a deluxe stateroom. The price includes all meals and an open bar. 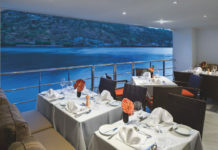 For more information call 0800 980 4027 or visit ponant.com. 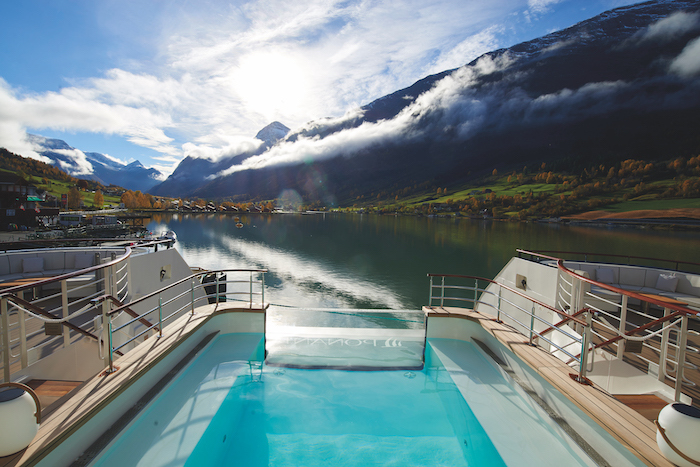 For more cruising inspiration, read our Ponant USA review or the top 10 expedition cruises.